Social Circus Myanmar volunteers are launching a fourth season of circus workshops for children and young people in Myanmar. Social circus engages and empowers at-risk young people by giving them a chance to learn new skills and create a lot of inspiring fun and positive change for themselves and their communities. Social circus activities give participants a real sense of achievement through improving their co-ordination and self-confidence, while creating an atmosphere of mutual respect and trust. Our motto is "Everyone Needs to Have Fun", especially children and young adults living in a country struggling with the transition from decades of military rule; a country where child rights remain a big issue. Children too often bear the brunt of exploitation and violence fueled by poverty and ethnic tensions. Social circus brings people together regardless of race, religion, gender or disability. In a society building a new future, the need for mutual understanding, equality and respect for one another is more important than ever. Many of the children and young people taking part in Social Circus Myanmar programmes are street kids, orphans, child labourers, children who have fled the conflict zone, children living with disabilities and children who can't go to school because they have to work to help their families. 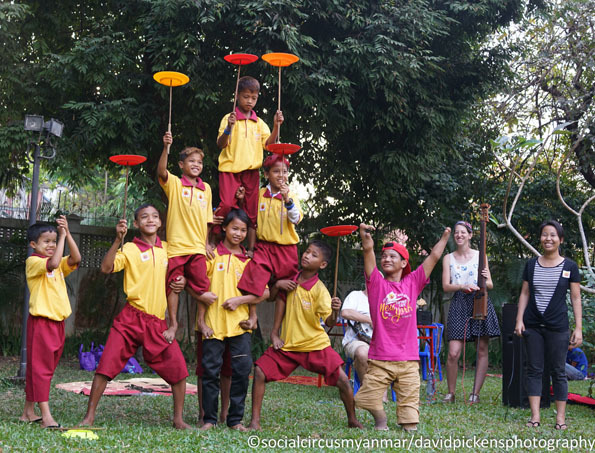 Led by circus skills trainer and performer Jules Howarth, Social Circus Myanmar has partnered with local community organisations to deliver workshops in and around Yangon since 2014. Most activities take place during the annual dry season from November to April. Some of the circus teams have been involved right from the start, while others are joining the programme as it expands. Thanks so much to everyone who has supported this project over the past few years. We've had three successful seasons already and couldn't have got this far without you. Please support us again if you can and share our crowdfunding campaign with family and friends. With your help, we will make it happen! Jules resumes regular workshops for our existing social circus groups from late November, introducing new skills and performance training, and expanding teaching capacity by training more local tutors. We'll add more workshops once funding and teaching resources are in place. Inclusion, Accessibility, Gender Equality, Sharing, Creativity, Learning through Fun and Play. To provide a platform for young people to play, share, learn together and inspire each other while developing their skills, confidence and sense of self-worth. To train tutors, performers and crew to support ongoing social circus activities. To work with Myanmar partners to develop a locally-led social circus network and training centre. Over 100 workshop sessions were delivered to circus teams in locations in and around Yangon. Visiting international volunteer tutors joined the workshops for specific periods, introducing new technical and performance skills. Circus teams came together for a Day of Fun to share and present their skills. A public workshop was held to celebrate International Social Circus Day on 1 April 2017, one of more than 50 events which took place around the globe. Thanks for your support, you are making it all possible! Funds raised through our StartSomeGood campaign will help pay the costs of 5 regular workshops every week between December and April. $15 This covers the cost of lost earnings for working children attending one workshop per week. The family of each child receives 40 cents to make up for the time they can not work. Reaching our stretch goal means we can add another workshop to the weekly schedule, introduce new props and buy crash mats to support acrobalance activities. Another favourite of the kids in Yangon! Thanks for supporting the project. We'll add you to the Honour Roll, give you a shout out on facebook and send you a photo of the kids in action. Hey they love those rings in Yangon too! Thanks so much for getting behind this. We have a special spot on the Honour Roll for you, a big shout out on our facebook page, a photo of the kids in action and a special thank you message directly from one of our social circus teams. The kids are tossing those diabolos higher and higher! 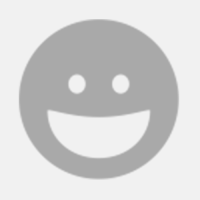 What a valuable contribution you're making to the project, thanks so much! As well as everything above, we'll send you personalised thank you message direct from our circus kids in Yangon. The art of balance itself! Thanks so much for taking part in this project. We offer you our deep gratitude, a featured spot on the Honour Roll, a personalised thank you message from our circus kids and 1 free 30-minute juggling workshop either in person or via Skype. Everyone needs to have fun! The kids take great strides when they're on stilts! Thanks for your an awesome contribution to the project. We're pleased to offer you all the rewards above plus a limiited edition Social Circus Myanmar T-shirt.